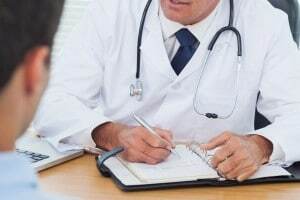 The importance of men seeking prompt advice when faced with symptoms of testicular torsion and the need for early recognition and referral by GPs. Testicular torsion is a medical emergency where the blood supply to the testicle is cut off and, unless resolved, can lead to loss of the testicle. There appears to be a lack of awareness of the condition which can lead to cases of misdiagnosis and this blog explores possible reasons for this. Testicular torsion occurs when the spermatic cord becomes twisted causing the blood supply to the testicle to be blocked. If the blood supply is not restored promptly by treatment then it can lead to loss of the testicle. According to research reported in 2010 by Men’s Health Forum (MHF), a charity which provides an independent and authoritative voice for male health in England and Wales, men visit the GP 20% less than women. Doctors and campaigners are concerned about men’s apparent lack of awareness about health problems and reluctance to go to the doctor. Steve Field, Chairman of the Royal College of General Practitioners, said women are better at disclosing how they feel about their health and steps should be taken to encourage men to report health problems earlier. When a patient presents themselves at their GP they may be anxious, nervous and feel they are making a fuss about nothing, which is why making the correct diagnosis and listening to the patient is crucial. This is particularly important when the patient’s concerns relate to the testicles, which men may be more reluctant to discuss as it is very sensitive. It is vital that male patients feel able to discuss any concerns with their GP to avoid delayed diagnosis of potentially serious conditions, such as testicular torsion. In my work I often come across cases where there has been a misdiagnosis of testicular torsion, which unfortunately may have significant consequences. A man in his twenties presented to his GP with symptoms of nausea, swelling of the scrotum, vomiting and abdominal pain. He was diagnosed with a urinary tract infection (UTI). The swelling did not ease, in fact it increased. The nausea and abdominal pain remained and he returned to the GP for four further appointments but each time was advised that he was suffering from a UTI. After a number of months a referral was made to the hospital for a scan where he was diagnosed with a testicular torsion. The young man subsequently lost his testicle, which may well affect his future fertility. According to the NHS choices website testicular torsion is a medical emergency. Surgery needs to be carried out as soon as possible to reduce the loss of the testicle; recommendations suggest that surgery should be carried out 4-8 hours from when symptoms began in order to save the testis. Symptoms are reported to include: swelling of the scrotum, nausea, vomiting and abdominal pain, symptoms which the patient was experiencing, so why was there a failure to refer the patient? The National Institute for Health and Care Excellence (NICE) have published guidelines for practitioners recommending that if testicular torsion is suspected, to admit the patient immediately to urology or paediatric surgery. Sadly a high proportion of testicular torsion cases occur in children, therefore being able to identify torsion early on, with the correct equipment is fundamental. Research by Shan Yin and Jennifer Trainor, suggest that testicular torsion requires surgical correction as soon as possible. Irreversible ischaemic injury can begin within 4 hours of spermatic cord occlusion, resulting in reduced fertility and even testicular loss. The rates to save the testis decline with time from the onset of symptoms from 90% at 6 hours to 10% at 24 hours, which highlights the importance of recognising this condition as early as possible. At present there seems to be a lack of measures dealing with diagnosing a testicular torsion and hopefully an area which the health profession will invest and develop in. This condition can have significant psychological effects on a young male. The clinical negligence team, have experience in claims where there has been a failure by GPs to identify, recognise and thereafter refer testicular torsion cases for immediate investigation causing loss of the testicle. Such a failure can have detrimental affects not just on our client’s present life but also future. It seems therefore vital that patients are aware of this potential condition and its symptoms, promptly contact their GP for advice and thereafter that their GP recognises the condition and makes an appropriate urgent referral for formal diagnosis and treatment. If you have any concerns about treatment for testicular torsion then please contact me or one of my colleagues for further advice.